Hey, ho, this tree has got to GO! Maybe it’s too big, maybe it is diseased, maybe it’s in the way of renovation. Whatever the reason, DFW Tree Trimming Service turns into DFW Tree REMOVAL Service! We are trained and prepared for tree removal of all shapes and sizes. This is something that should not be attempted by the homeowner or amateurs. We have the tools, the temperament, and the trucks to remove your tree and haul it away. Safety FIRST! We take care to protect the surrounding trees, property, and electrical wiring before beginning our work. Expert removal of the tree or trees in our large trucks. No leaves or debris left behind. To pull all permits required for the task. Every tree removal is different and there are many different factors that must be taken into consideration to determine the safest method. We will inspect the tree or trees and give you a complete estimate. Next, we contact the city if any permits are required and start the paperwork. After we received the permits, our crew arrives in the morning and a careful assessment and safety meeting takes place. As required by OSHA, all crew is outfitted with safety helmets, goggles, and gloves. Then, and only then, do we remove the tree, which can usually be completed within one day. 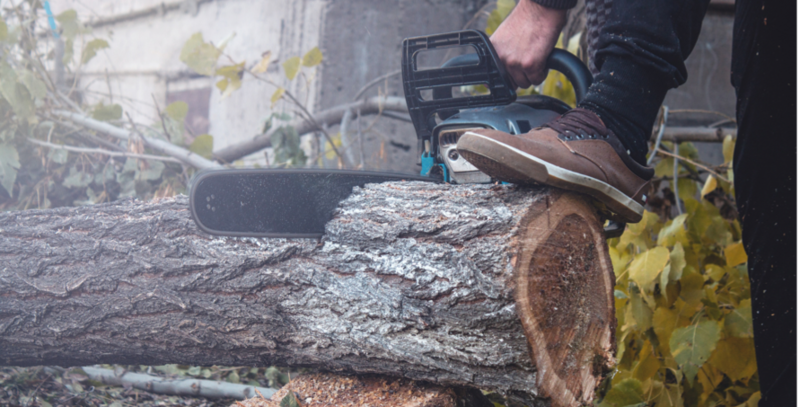 In the most common tree removal service, the tree is cut down at the base and the stump remains; however, if you want to get rid of an unsightly tree stump, we do offer stump removal or grinding as either a separate service or low additional fee. Call us today for a free estimate (469) 706-9832.